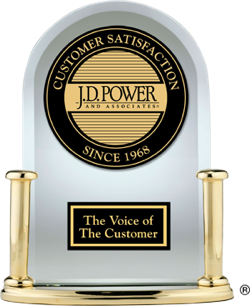 The 2015 Dependability ratings and awards measure the responses from more than 80,000 verified owners of 3-year-old vehicles annually. This rating focuses on the type and number of problems owners experienced during the preceding 12 months with their 3-year-old vehicle. The fewer the number of problems reported by car owners, the higher the score. Typically more affordable and fuel-efficient than larger vehicles, these small cars and SUVs were top-ranked for vehicle dependability in 2015. You want a dependable compact car or SUV. Based on feedback from original owners, the following models ranked highest in vehicle dependability in 2015. Dependability is one of the most important factors people consider when choosing a vehicle. Based on J.D. Power 2015 vehicle dependability data, the following cars and SUVs are the most dependable members of the midsize vehicle segment. If you're looking for a durable vehicle, J.D. Power is a valuable resource. Listed below are the 2015 large cars and SUVs that ranked highest in their segment for vehicle dependability. Based on the 2015 Initial Quality Study (IQS), these are the highest-rated convertibles in initial quality on sale for the 2015 model year. This buyer's guide highlights the top-rated pickup trucks as measured by the J.D. Power 2015 Vehicle Dependability Study,SM which examines new-vehicle quality after three years of ownership. This buyer's guide highlights the top-rated hatchbacks and wagons as measured by the J.D. Power 2015 Vehicle Dependability Study,SM which examines new-vehicle quality after three years of ownership.